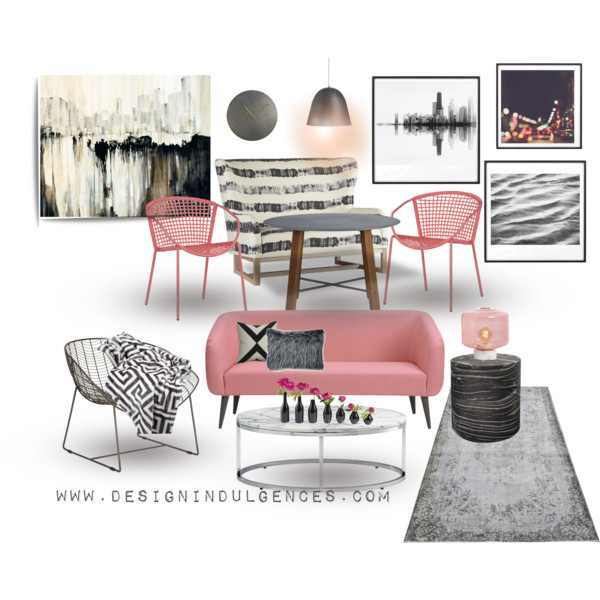 I made a collage using a blush, gray, black & white color scheme and mixed different styles for seating. Adding a throw of sorts to any caged seating makes it more comfortable and withstanding the use of sofa or dining sets adds interest. Try swapping out the head chairs of a formal dining area or adding a bench to one side of the table. Mixing tables or lamps can also keep a space eclectic. The goal in design is to make a space feel collected over time and not bought in one store. Love this. You should see Sally Wheat Interiors version of this.